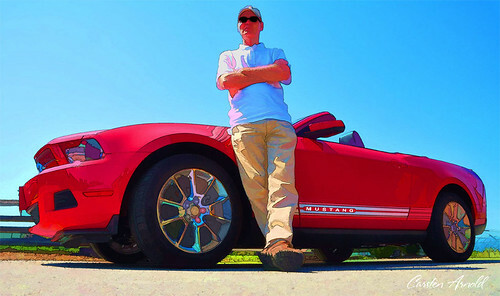 A red convertible mustang, a car guy and a hot day. The photographers brother rented this on a trip to Vancouver and had fun taking it through its paces. Should rental companies even rent these things?